FYI, more work to do! Domestic violence is intolerable – and so are gender biased laws like the Violence Against Women Act; acts like this tell an incomplete story of domestic violence for political gain. The VAWA first started replicating local and state domestic violence laws in 1994. It was hailed then as “landmark” legislation, turning a local issue into a federal one. In 2000 it visited the Supreme Court, where U.S. v. Morrison’s ruling found the law unconstitutional for violating the Commerce Clause and the 14th Amendment. One formal intention of the VAWA is to fund domestic violence programs. Informal intentions are to provide the opportunity for fake bipartisan celebration while defacing opponents every time the bill is voted for re-authorization. Last Thursday, the U.S. House voted 286-138 in favor of the bill, reciprocating the Senate’s 78-22 vote last month. Proponents are so adamant for this legislation that legitimate objections for debate are always squandered to demagoguery. This is the first of a long list of issues this law hides under its thick framing effect that automatically produces an improper assumption: anyone who’s against it must be pro-women’s violence. Surface-level framing hints at underlying structural problems. Men’s domestic violence statistics are systematically ignored by leading anti-domestic violence organizations as if they aren’t relevant. The National Coalition Against Domestic Violence provides the most popular statistics on its website: one in four women will experience domestic violence in their lives, 1.3 million women are assaulted by their partner every year and 85 percent of domestic violence is against women – criteria justifying the VAWA. Hundreds of advocacy groups fall in line with the same angle: suppressing or downplaying the men’s numbers. Due to this practice, many forget that significant amounts of domestic violence cases happen to both sexes as well as children. The same study that found that 1.3 million women were assaulted by their partner every year also found that 835,000 men fell victim to the same violence. Aggregate totals of more than 250 studies since the 1970s find that men and women nearly split partner violence rates halfway. One study in 2011 conducted by the Centers for Disease Control and Prevention found that 40 percent of severe, physical domestic violence cases were against men. Misrepresenting relevant statistics has consequences. Significantly fewer studies include men and boys because few organizations are willing to provide funding for seemingly needless information. Domestic violence studies and policies are not created nor treated equal. A snowball effect enables biases and misunderstandings to grow. In turn, policy is influenced in favor of women – the flagship legislation being the VAWA. But the VAWA doesn’t only feed off of misinterpreted statistics; audits by the Government Accountability Office discovered the bill breaks its own rules. The audits found some organizations receiving the VAWA’s appropriations to have large portions of funding never reaching victims and many instances of spending against a grant’s intentions. Other audits even found embezzlement and outright fraud. These cases are covered up in the name of preventing violence against women. Julie Borowski, a policy analyst at FreedomWorks, wrote how the $660 million annual budget’s lack of accountability measures opens the door for mishandled funds, possibly explaining why the program cannot take credit for reducing domestic violence rates. 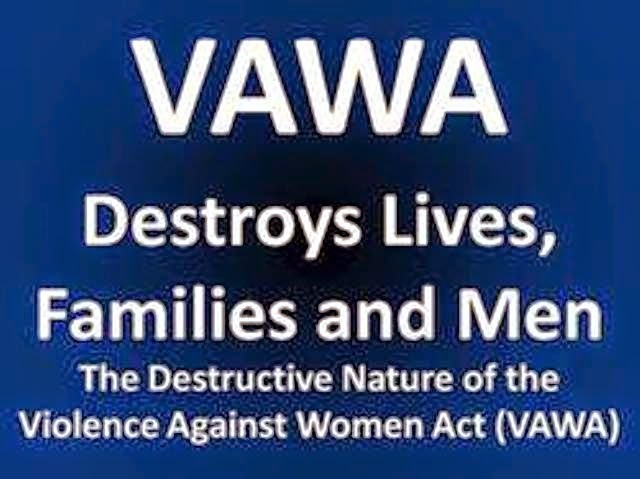 “The real purpose of the VAWA is to shell out taxpayer dollars to liberal organizations that help elect Democrats – which is why the re-authorization passed out of committee on a straight party-line vote,” Borowski said. Democrat minority house leader Nancy Pelosi accepted her political gravy in a tweet, @NancyPelosi, “No woman should be forced to suffer abuse in silence.” Pelosi is absolutely right. Still, the VAWA’s re-authorization should have addressed growing biases against men and boys and many other concerns. Rather, politicians seem more interested in taking advantage of domestic violence to gain political face than providing aid for all citizens. Politics continue to infiltrate social services. Domestic violence is a real issue for women, children and men. Major policies need to better reflect that. Jeff Bart is a senior in the College of Liberal Arts and can be reached at opinions@purdueexponent.org. United States v. Morrison, 529 U.S. 598 (2000), is a United States Supreme Court decision which held that parts of the Violence Against Women Act of 1994 were unconstitutional because they exceeded congressional power under the Commerce Clause and under section 5 of the Fourteenth Amendment to the Constitution. Full case name United States v. Antonio J. Morrison et al. and Christy Brzonkala v. Antonio J. Morrison et al. Prior history Brzonkala v. Va. Polytechnic Inst. & State Univ., 935 F. Supp. 779 (W.D. Va. 1996), aff'd, 169 F.3d 820 (4th Cir. 1999), cert. granted sub nom. 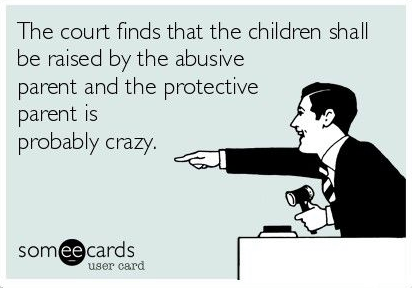 United States v. Morrison, 527 U.S. 1068 (1999). 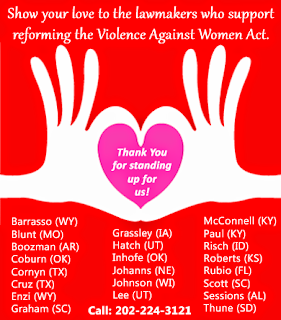 The Violence Against Women Act of 1994, 42 U.S.C. § 13981, is unconstitutional as exceeding congressional power under the Commerce Clause and under section 5 of the Fourteenth Amendment to the Constitution. U.S. Const. Art. I, § 8, cl. 3; U.S. Const. Amend. XIV; 42 U.S.C. § 13981. WASHINGTON / March 7, 2013 – SAVE, a leading victim-rights organization, is applauding United States Attorney General Eric Holder for his statement advocating for the inclusiveness of programs funded by the Violence Against Women Act. The recently passed bill contains numerous non-discrimination provisions designed to assure all victims are helped by the new law. “Today, many Republicans are taking a stand for a more modern and inclusive GOP. Our leaders in Congress should be weary of leaving the LGBT community out of legislation that is intended to protect all Americans from domestic violence,” said Gregory Angelo, executive director of Log Cabin Republicans. Discriminatory practices have been documented on a wide scale against male (3), lesbian/gay (4), and immigrant (5) victims of abuse. More Republicans voted against the bill than supported it — the third time since December that House Speaker John A. Boehner (R-Ohio) has allowed legislation to move off the floor that did not have the support of a majority of his divided members. The bill will authorize up to $660 million be spent each year for the next five years for such programs — a drop of 17 percent from the last time the act was reauthorized in 2005. This certainly doesn’t mean that shelters will begin to put out the Welcome mat to male victims. We still have many battles to fight, especially at the state level. But at least we now have a strong legal basis for demanding an end to discriminatory practices. So moving forward, we will highlight the stronger inclusiveness language in the new VAWA, and we will call on lawmakers and DV providers to implement the new mandate. And in the upcoming weeks, we will return to our frequently-highlighted concerns about false allegations, lack of due process, lack of the presumption of innocence, and so forth. To do that, we’ll need to adjust our strategy, tactics, and messaging. Thanks for all your blood, sweat, and tears the last several years. The struggle will continue. SAVE is a 501(c)3 victim-advocacy organization working for evidence-based solutions to domestic violence and sexual assault.